TALENT will further the career development of early stage researchers and increase the amount of skilful labour on the European market. The project will increase the competitiveness and visibility of European research and industry e.g. by enhancing the communication in the detector module supply chain and detector system construction. 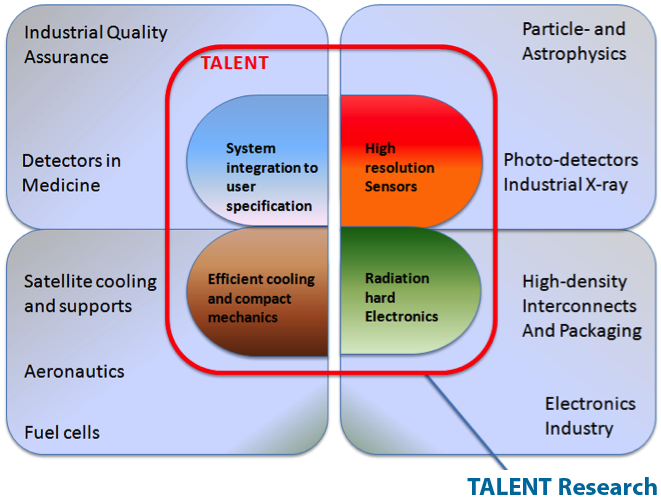 TALENT will increase research and development in the field of advanced radiation detectors, new electronic-sensor integration methods and mechanical structures leading to efficient detector technologies applied in research and industry.